When will be Rip Off Britain Live next episode air date? 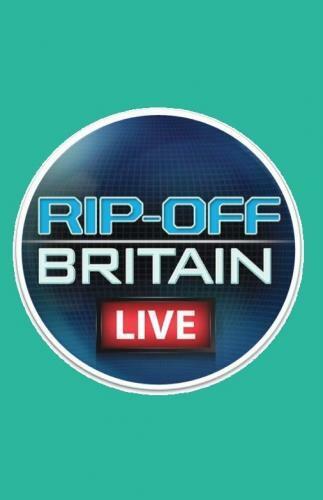 Is Rip Off Britain Live renewed or cancelled? Where to countdown Rip Off Britain Live air dates? Is Rip Off Britain Live worth watching? The Rip Off Britain team is ready to tackle the issues that most matter to you - from bills and bad customer service, to holidays and food. The shocking consequences of an ID theft are vividly revealed as the team follows the experiences of a woman whose bank account is repeatedly being emptied by fraudsters, and her bank are seemingly unable to stop it. And why at last there could be light at the end of the tunnel for beleaguered rail users. Plus the latest on some of the stories the team has investigated in the past. A family's heartbreaking battle to regain control of the precious images of a lost loved one raises a big question millions of people haven't stopped to think about - who owns the digital images now increasingly stored online? Plus why where someone lives can play such a big part in the cost of fuel prices. In this edition, they expose how scammers have been able to get their hands on the savings that viewers had been counting on for retirement. Has the relaxation of the rules on pensions made things easier for fraudsters? Plus why ongoing problems with a heating system commonly used in affordable housing have left some families fearing they will not be able to afford to keep warm this winter. Including updates on stories the team has investigated in the past. In this edition, will the much-hyped new laws to crack down on cold calling really make as much difference as has been claimed? And as another small airline goes bust there is advice for consumers on what to do to avoid losing out financially. Plus the latest on some of the programme's biggest cases, and more problems are solved at the Rip Off Britain pop-up shop. Rip Off Britain Live next episode air date provides TVMaze for you. EpisoDate.com is your TV show guide to Countdown Rip Off Britain Live Episode Air Dates and to stay in touch with Rip Off Britain Live next episode Air Date and your others favorite TV Shows. Add the shows you like to a "Watchlist" and let the site take it from there.